Bizarro am good clone of his best friend Superman. Bizarro am weakest hero of all! The tragically flawed product of an experiment to duplicate the Man of Steel, Bizarro is a mirror image of Superman and opposite in almost every way — except for being vastly powerful. Approaching everything in reverse, the simplistic Bizarro clashed with the Man of Steel on numerous occasions until his odd adventures led him to settle on a strange cube-shaped planet orbiting a blue sun where he is that reverse world’s greatest hero. Bizarro is a Mixed Tank Energy character with a base speed of 66. Below is a chart of the gear bonuses at rank 11. Bizarro Hug: Damage to an enemy, +100% damage if Bizarro is Debuffed. Legendary: 6% True Heal for each Debuff on Bizarro (Max 6). Bizarro Say Hi: Gain Taunt, 5 Stamina Ups and a Heavy Overheal. Legendary: Gain Damage Immunity if Bizarro is Bleeding. Flame Breath: Special Damage and apply 2-3 Bleeds to all enemies. Legendary: Apply 1 extra Bleed for each Debuff on Bizarro (Max 6). Freeze Vision: Special Damage and 70% chance to Stun an enemy. Legendary: Always apply 3 Speed Downs. Bizarro #1: Overheal self if Bizarro is dealt a Critical Hit. Legendary: Gain Death Immunity at the beginning of battle. Note: This section is from before Bizarro’s recent rework. His kit has been tweaked. Check back later for updated information once we’ve done some testing with his new skills! Bizarro’s kit is reliant on enemies debuffing him, and those debuffs have to include bleeds for maximum effect. This limits his effectiveness, but in the right situations using him as a Damage Immune tank can work well, if you have his 2nd upgrade. 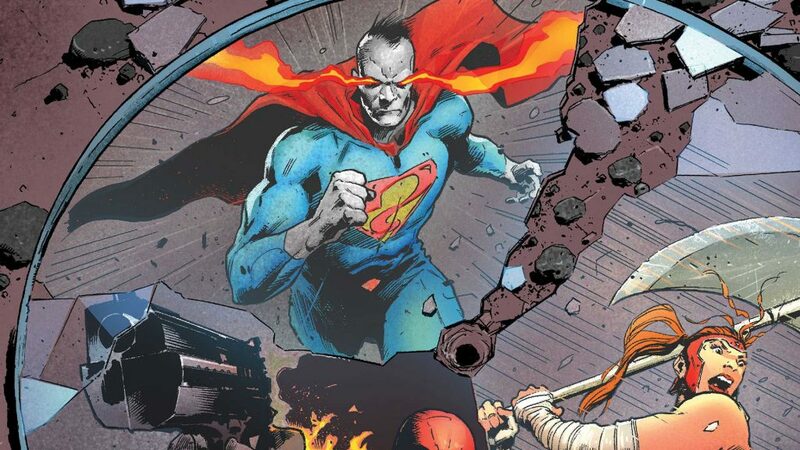 Bizarro works with allies who can debuff him — mainly Atrocitus. Other than that, he is more reliant on how the enemy team will damage him more than anything. Those who will place bleeds on him can help him make the most of his moves. Bizarro is an all-around weak character, far outshined by his opposite Superman. He can be easily countered by a Mystic character. Bizarro is a low tier character that is only good against certain enemies, most of whom counter him in more ways than one.